Show off your regal yet rebellious side wearing the Vivienne Westwood® Jordan Necklace. 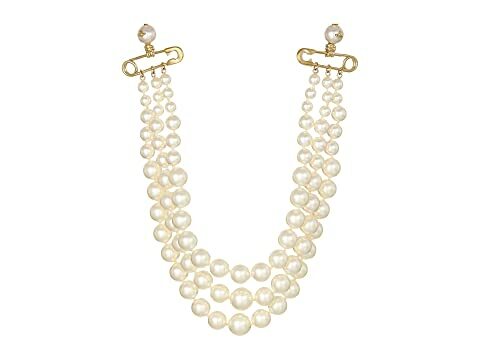 Pearl necklace with gold-tone plated brass metal safety pin accents. We can't currently find any similar items for the Jordan Necklace by Vivienne Westwood. Sorry!